The demand for board certified music therapists is growing at an alarming rate. In fact, there aren’t enough music therapists to meet the present demand. As the general population gains awareness of this fascinating field, more people are asking for private and group therapy sessions. Amy Kalas discovered this while working as a board certified music therapists at United Cerebral Palsy in Miami, Florida. People would call the clinic asking for private sessions, and so she started meeting with clients to supplement her full-time job. This side job grew so quickly that she started Wholesome Harmonies Music Therapy, where she now works full-time giving private sessions to kids with special needs. To become a board certified music therapist requires an advanced degree (MM) and a board certification (MT-BC). For our readers interested in pursuing a career in music therapy, Amy Kalas gives valuable insight into this rapidly expanding industry. How do you keep your sessions relevant to each client’s needs? Music therapy treatment begins with an assessment of each client’s strengths and needs. From this assessment the music therapist creates individualized goals and objectives that specifically target each client’s needs. Goals can range from increasing expressive language to improving social skills to increasing sustained attention. Some principals are universal to all clients. As music therapists, we are looking ”“ in general ”“ to improve the quality of life for our clients. Whether that means: improving their communication skills so they can have a conversation with their grandparents; desensitizing them to sensory stimuli so they can tolerate various types of clothing; or improving their fine motor skills so they can write their name, the ultimate goal is to improve quality of life. What kinds of results do you look for when working with your various clients? The results vary from client to client. Music therapists address goals in a wide range of areas, including social skills, cognitive skills, communication skills, and motor skills. Each client is unique in their needs and in their response to music and music therapy. In general, I am looking for improvement ”“ no matter how great or small ”“ in some area or areas of functioning. What is your vision for the future of Wholesome Harmonies? My vision for the future of Wholesome Harmonies is to continue to expand the services we provide to parents and to other music therapists. 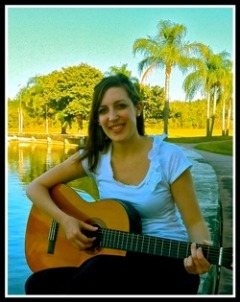 I am now in the process of hiring a subcontractor so more clients in the Miami area can receive music therapy. 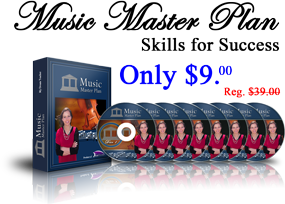 I am also expanding the online resources I provide for other music therapists. Those resources include original children’s songs, sheet music, and ebooks with music therapy intervention ideas. I want Wholesome Harmonies to continue to grow so that I and other music therapists can provide the highest quality service to our clients. Tell us about the presentations and consultations you offer about music therapy. I offer presentations on a myriad of topics related to music therapy. I offer general presentations about what music therapy is and who can benefit. I also offer presentations on specific topics related to music therapy, such as: sensory-based music therapy ideas for individuals with severe and profound intellectual disability; music therapy for children with Autism Spectrum Disorder; music therapy in early childhood; music therapy to improve speech and language; and music therapy co-treatment with occupational therapy. In all of my presentations I use live, interactive demonstrations, as well as video clips (with parent consent) to demonstrate what various music therapy techniques look like in action. How does the Miami area inspire your artistic creativity? Miami is such as vibrant place, it’s hard NOT to be inspired! I am inspired by the music, instruments, and dance of the Latin culture. I try to bring as much of that into my sessions as possible. In the past, I have brought a guest percussionist into my sessions to visit the children and demonstrate various Latin percussion instruments. I have taught the children different Latin dances, such as samba and merengue. I have taught the children different songs, chants, and finger plays in Spanish and had them perform for their parents in a Multicultural Day celebration. Do you see differences in how your clients respond to activities involving different instruments? Some clients become over stimulated by the guitar (the sound of the steel strings or the frequency of the pitches). In that case I would use piano to accompany myself or I would sing a cappella. On the other hand, I notice clients in general respond very well to novel instruments. Knowing this, I often bring in my primary instrument that I studied while in music school, the clarinet. The children are always in awe when they see this instrument. I also try to use other non-typical instruments in my sessions like the accordion, harmonica, kazoo, cowbell, kalimba, and kokoriko, to name a few. What is your advice to students who are considering a career in music therapy? My advice is to go for it! There are not enough music therapists to fill the need that is out there. The field of music therapy is in need of more well-qualified, well-trained, passionate music therapists. My advice is also to strengthen your musical skills. At the core, music therapists are first and foremost musicians. The more skilled we are as musicians, the better we can serve our clients. This means being skilled on a variety of instruments (guitar, piano, ukulele, primary instrument) and being skilled in a variety of musical genres (pop, classical, hip hop, etc. ).